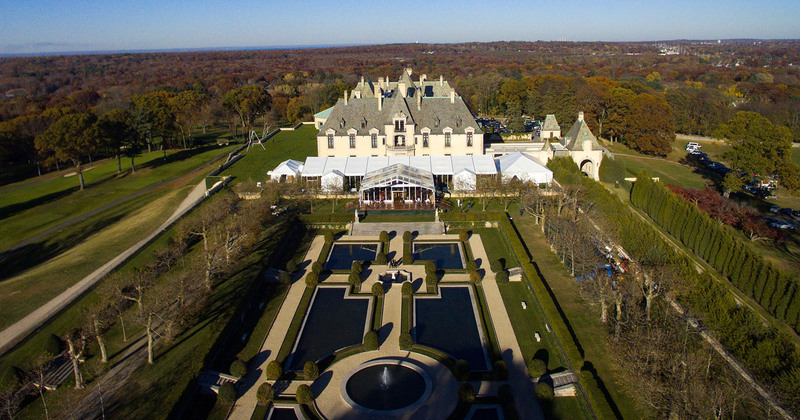 Oheka Castle in Huntington, New York provided a beautiful setting for this client’s wedding and reception. The evening’s theme: a magical, secret garden. 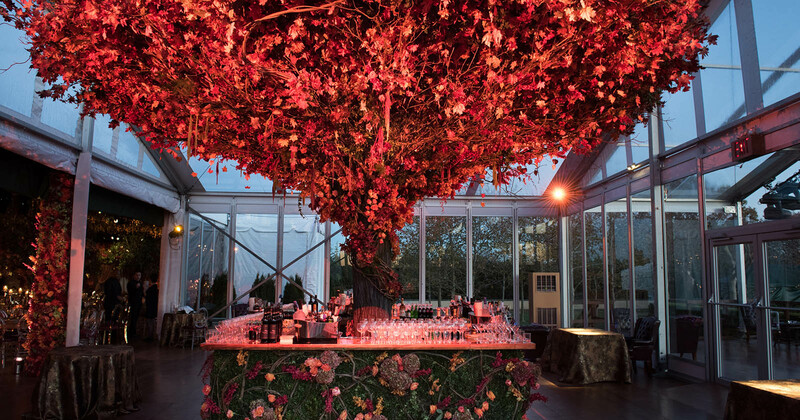 We partnered with some of the most imaginative talent in the event world—Michael Scott Events, Swoop, Gourmet Advisory Services, Summit Productions and Stamford Tent & Event Services—to create a romantic ambiance, providing a lighting design that set the mood, transitioning the evening through cocktails, dinner, and dancing. 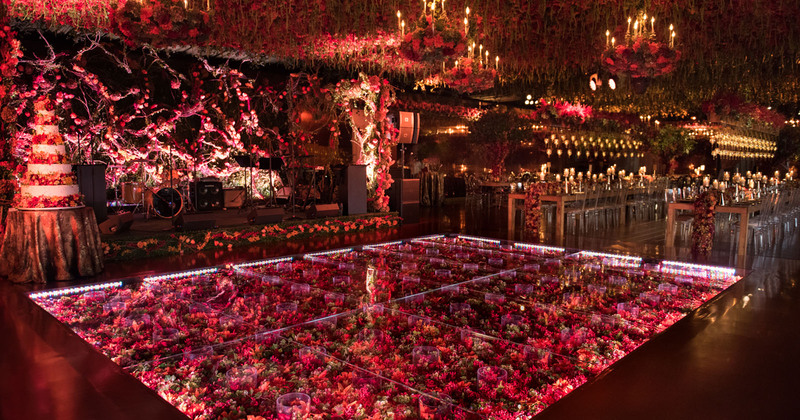 We constructed a 40 X 40-foot truss structure over the custom-made plexiglass dance floor, which was lit from within to create the illusion that guests were dancing on a bed of roses. 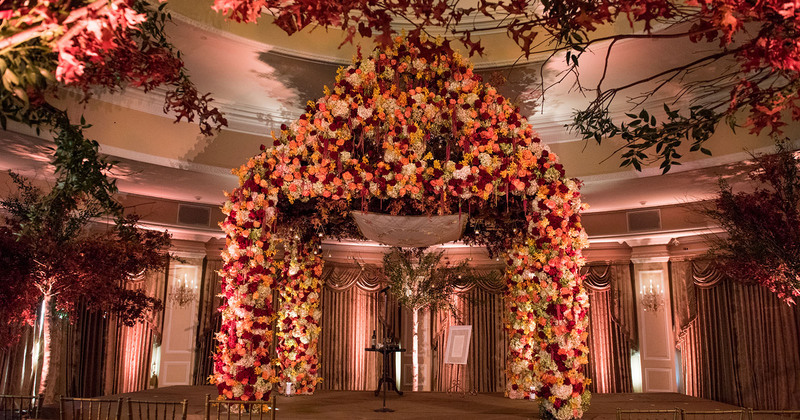 Working closely with the floral designer, we built two additional support structures to accommodate the 21 spectacular chandeliers that hung over the dining area, creating an intimate atmosphere. 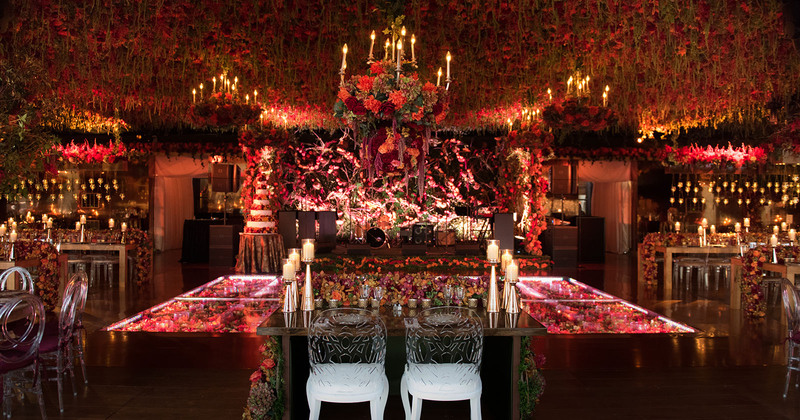 Custom-made mirrored walls were introduced into the space to reflect the revelry and add a sense of dimension. Our fabrication department tailored pleated rose gold fabric that was used as a trim throughout the space, lending texture and complementing the floral design.